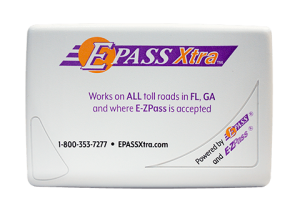 Toll roads under the auspices of the Central Florida Expressway Authority, which operates toll roads in the Orlando Metro area. The service plazas on Florida’s Turnpike are all operational in the aftermath of Hurricane Matthew, according to a staff member at the Turkey Lake service plaza. The plazas had been closed as the storm roiled offshore Thursday and Friday, sending wave upon wave of feeder bands across the peninusla. 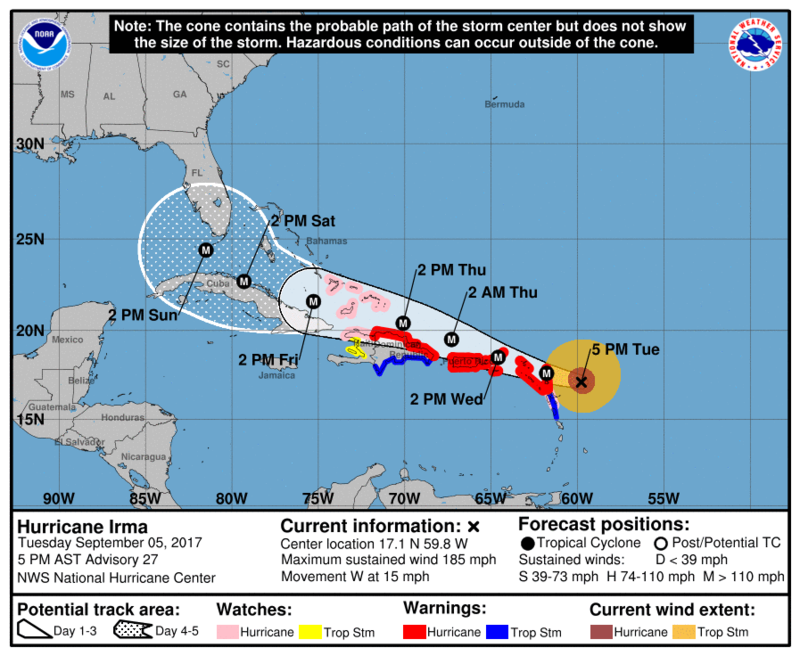 The Florida Department of Transportation, under orders from the governor’s office, had closed all plazas in order to protect staff. The plazas began reopening in South Florida Friday afternoon, and all are now operational, with the threat of Matthew now passed. Meanwhile, tolls remain suspended across Florida’s Turnpike and other regional toll facilities, including Orlando’s toll roads and those in Tampa, Fort Lauderdale and Miami. While the free ride may be saving money, traffic congestion is occasionally up at some toll plazas, where officials are directing traffic into just a few lanes. The governor’s office released a statement late Sunday afternoon stating tolls would remain suspended until at least 11:59 p.m.
Sunday, October 9. However, regional tolling agencies were reviewing their toll status on a county by county basis. A southbound view of the Leesburg toll plaza on October 9, 2016, as drivers are pushed to the left-most lanes to accommodate toll suspensions. 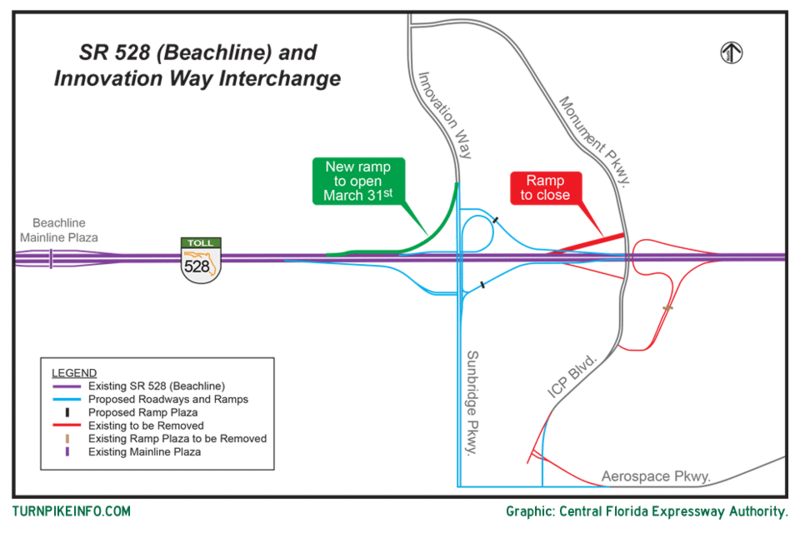 It was unclear Sunday when tolls would be reinstated on the Florida’s Turnpike. 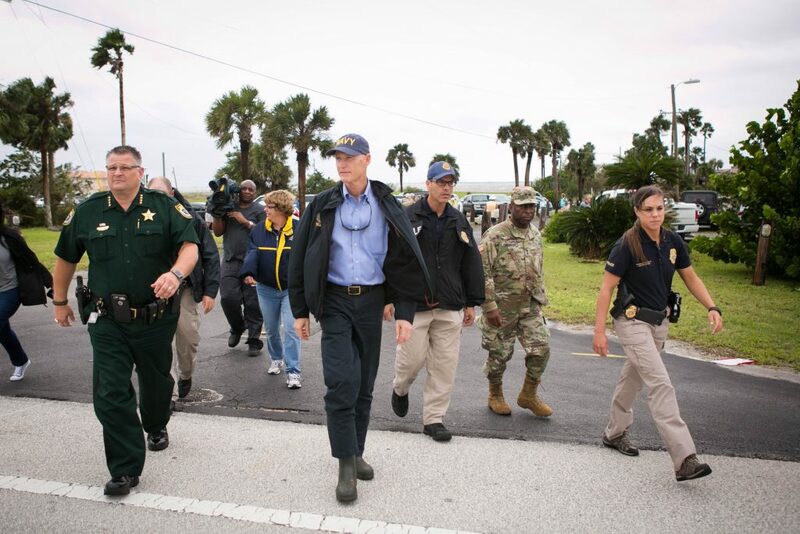 Image from Florida Department of Transportation. 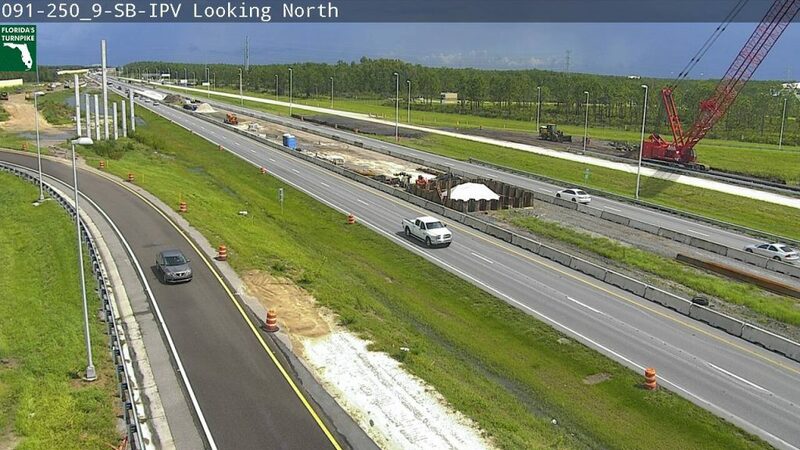 Elsewhere, officials will be examining constructions sites in the coming days on Florida’s Turnpike and other regional toll roads to determine whether it is safe to resume maintenance and new construction operations. When that process is complete, construction restrictions will resume. Editor's note: This story was updated at 4:50 p.m. to include the governor's office's latest statement on the status of tolls on Florida's Turnpike. Governor Rick Scott briefs media this morning in Volusia County. Tolls remain suspended this afternoon on Florida’s Turnpike and other regional toll roads, including those in metropolitan Orlando, Tampa, Miami and Fort Lauderdale. The service plazas on the turnpike remain closed in the most heavily-damaged areas, with only South Florida’s service plazas operational late Saturday afternoon. As Hurricane Matthew weakens off the coast of the Carolinas, it remains unclear how quickly service plazas will reopen. This could be trouble for drivers who normally depend upon the fuel and other services provided at plazas. Fuel supplies at retail locations at various exits are likely to suffer some, as ports across the northeastern coast have been shut down due to Matthew. Officials at the Florida Department of Transportation did not immediately respond to requests for further information about the service plazas or tolling. Hurricane Matthew continues is sea-bound spiral up Florida’s east coast this morning, after narrowly missing South Florida Thursday and Thursday night. The storm remains a category 3 monster, and forecasters expect the system will continue to spin along the coast on a northwesterly trek, before eventually turning overnight and into the weekend to run along the coasts of Georgia and South Carolina. 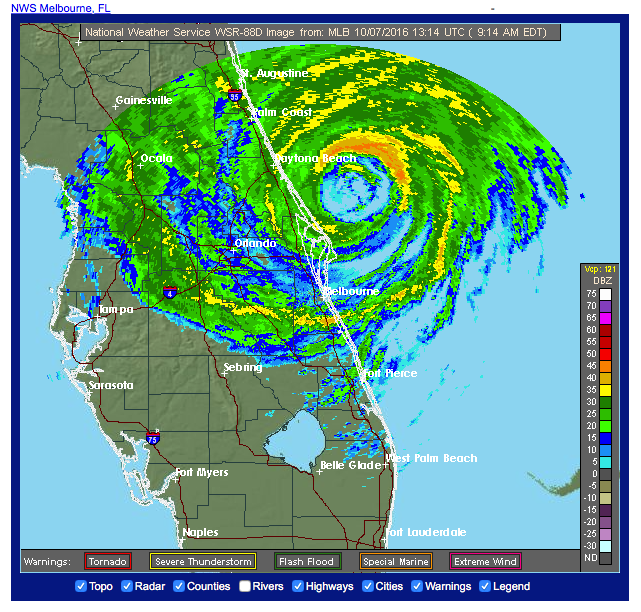 Weather radar on the National Weather Service website shows lingering feeder bands of Hurricane Matthew continuing to influence Florida’s Turnpike weather, even as the storm has remained offshore. 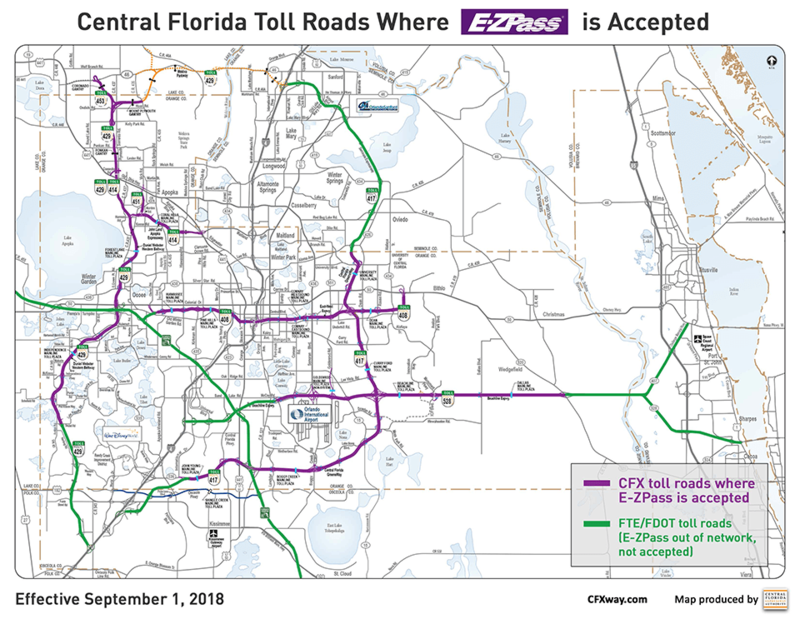 The Central Florida Expressway Authority announced on their Twitter feed this morning that the Florida governor’s office had ordered tolls to remain suspended. That order will affect all toll roads in Florida, not just those operated by CFX. 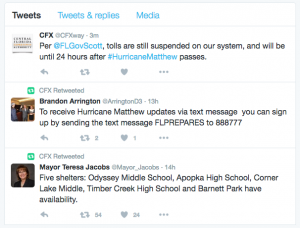 CFX, which operates regional toll roads around Orlando’s metropolitan area, announced on their twitter feed that the Florida governor’s office had ordered tolls remain suspended on toll roads, which includes Florida’s Turnpike. Meanwhile, service plazas on Florida’s Turnpike remain closed this morning as feeder bands of Hurricane Matthew continue to pelt Orlando and Central Florida, areas where people have already endured nearly 24 hours of incessant tropical whiplash. Even as Matthew was over the Bahamas, weather radar showed a steady onslaught of tropical energy flowing from the Atlantic over the central peninsula. The danger posed by Matthew forced Disney World to close at 5 p.m. Thursday afternoon. The park remains closed today. 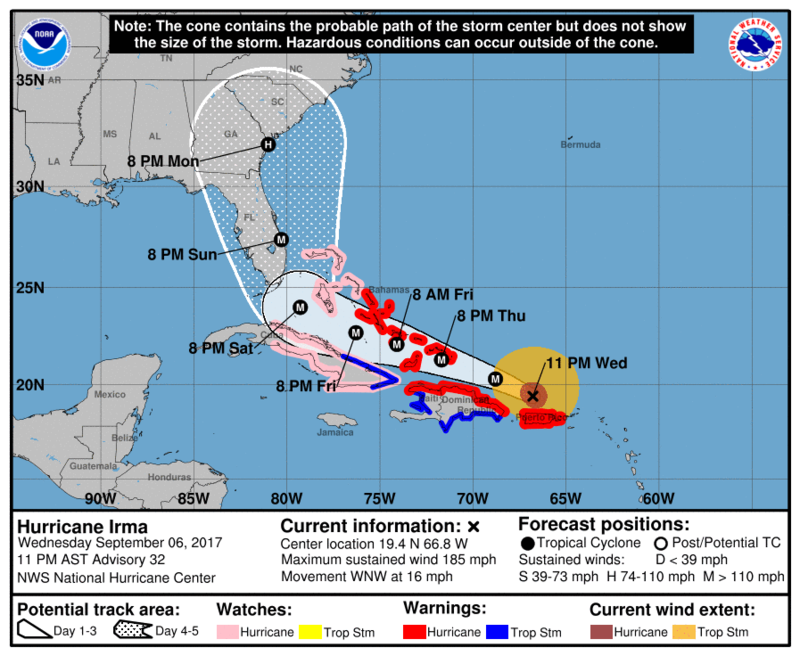 Sea World, Universal Orlando, and other Orlando tourist destinations, most near or close to Florida’s Turnpike, are also closed. For Disney World, the closure is only the fourth time in its history, according to Mashable, that the theme park has closed. All closures were due to hurricanes, and all have happened since 1999. 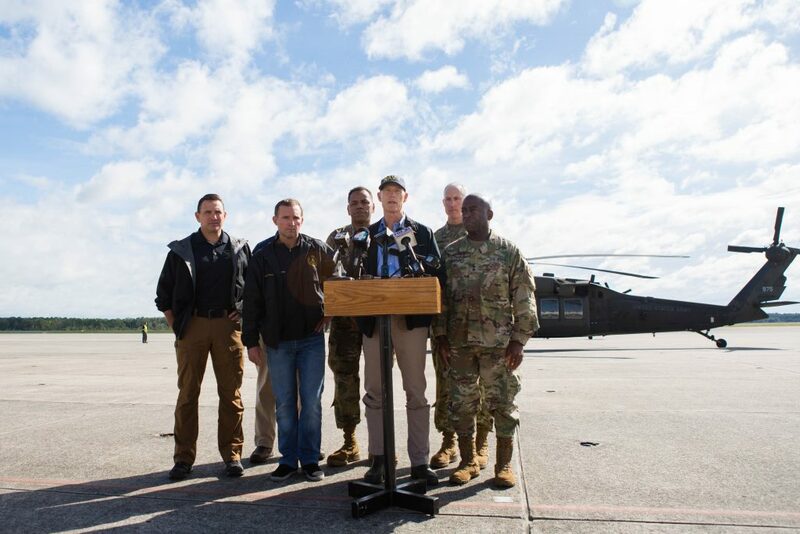 Officials with Florida’s Department of Transportation have said they will reopen the service plazas along the turnpike only after Matthew has passed, and only when engineers have verified the structural integrity of any building that have been awash in Matthew’s massive wind field. “All Turnpike Service Plazas will re-open after Matthew passes and all the structures are deemed safe for operation and occupation,” officials said in a written statement. The outer feeder bands of Hurricane Matthew have already begun whipping around drivers on Florida’s Turnpike in South Florida, particularly Miami-Dade County and Broward County, the first to begin feeling the impact of the storm. 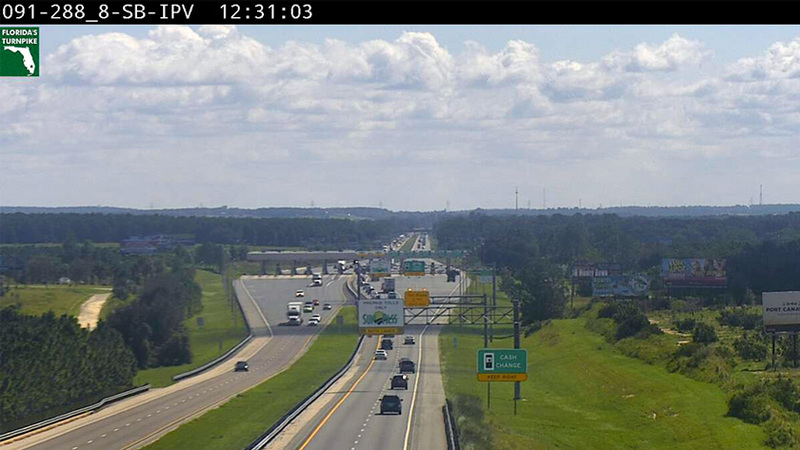 For those still driving Florida’s Turnpike this morning, officials have urged caution on the roads. The enormous wind field of Hurricane Matthew will send high tropical storm-force winds and some hurricane force-winds across many portions of Florida’s Turnpike, up and down the peninsula, and other toll roads in Central Florida. The Florida Highway Patrol was reporting heavy congestion on State Road 60 in Indian River County, where traffic is heading westbound toward Florida’s Turnpike in an effort to outrun the storm. Matthew is expected to graze the coastline along the Treasure Coast and Space Coast of Florida, even as its immense wind field influences most of the eastern peninsula and into the Florida Keys. Tolls were suspended on most portions of Florida’s Turnpike and most of Central Florida’s toll roads Tuesday night, as officials prepared for evacuations from communities across a broad swath of the Florida’s east coast, particularly from Palm Beach County northward. 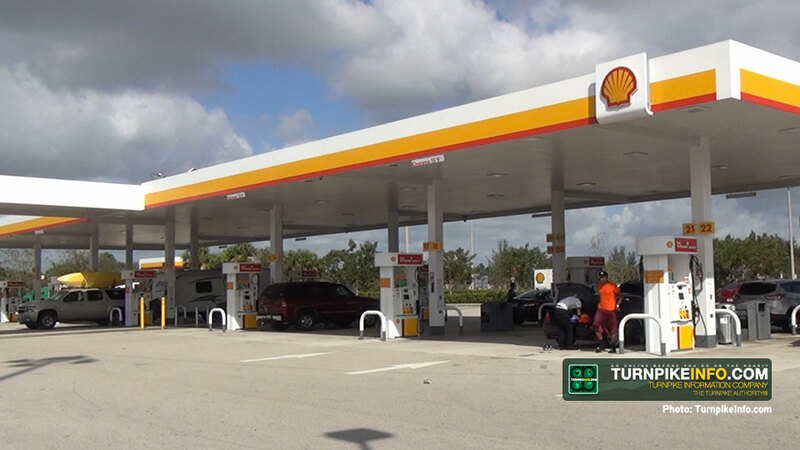 The FHP reported all service plazas remained open, and customers were being permitted to fill up a five-gallon (19 liter) container of fuel, in addition to a vehicle fill-up. High winds, which are already gusting across South Florida, are expected to get significantly worse through the early and mid-afternoon hours, reaching high tropical storm-force early Thursday evening. 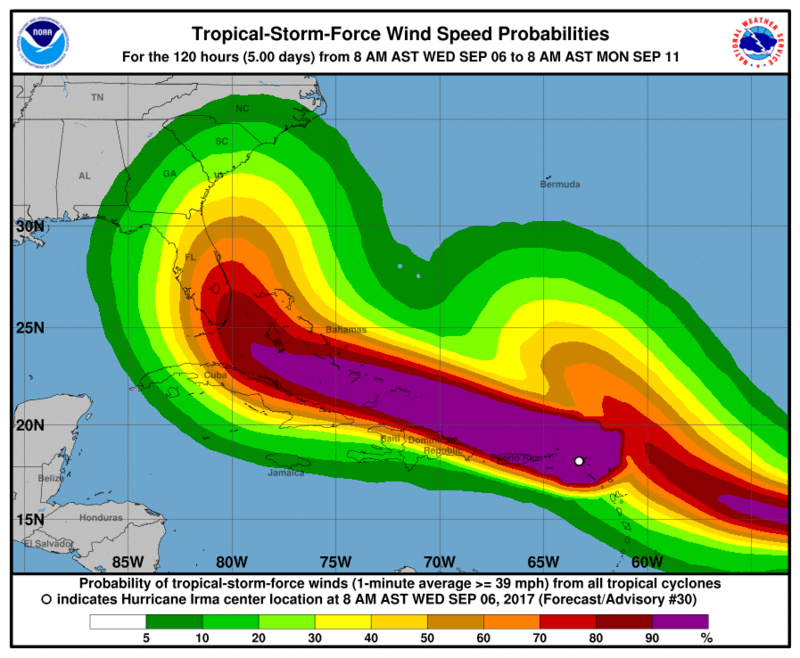 Some areas are expected to get hurricane force gusts, and sustained hurricane force winds are expected to impact northern segments of Florida’s Turnpike and, in particular, the east leg of the Beachline Expressway. Hurricane Matthew’s 11 a.m. forecast track from the National Hurricane Center in Miami. As of 11 a.m., hurricane warnings were extended farther north, well into South Carolina, and the storm, itself, had gained strength and reclaimed its status as a category 4 hurricane. However, the storm is more compact than it had been, even as it has regained strength. Hurricane-force winds extend outward about 60 miles from the center, but tropical storm -force winds only extend outward about 160 miles, a contraction of about 15 miles from the previous advisory. Maximum sustained winds are at 140 miles per hour, with higher gusts. Editor's note: Some supplemental information has been added to this report since it was first published. 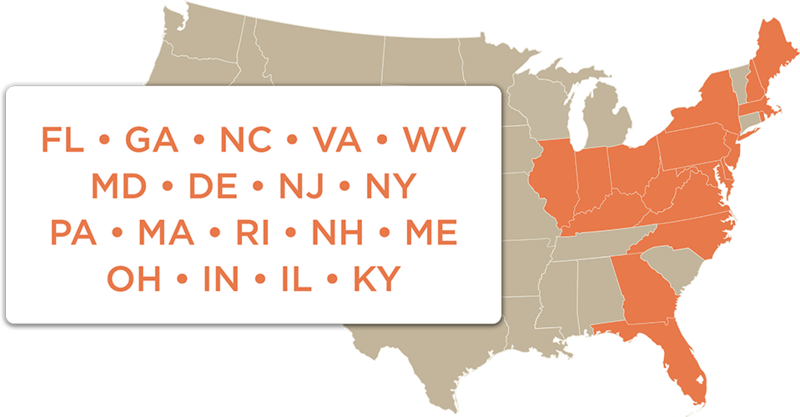 Information about the service plazas was added at 12:20 p.m. EDT.